Have you recently spent a lot of money on interior redecoration, painted all the walls and ceilings in your favorite colors and invested in new, stunning pieces of furniture? After all the hard work you can finally sit in your sofa and enjoy, but wait- what is that dark spot on the ceiling? Could it be mold? What is your next step? Instead of screaming, call First Response Restoration. We understand mold remediation and will quickly resolve the issue. Get to know your Enemy. Mold colonies spread even when completely removed and chemically treated due to sources of moisture in your home. Although mold is known to be useful in medicine, it is on the other hand, unhealthy at home as mold can cause respiratory, sinus and all sorts of other health related problems. We know what to do in even worst mold invasion scenarios. We can test your home for free to see where these mold colonies come from, answer all your questions and suggest further action. Even if it means you have to move out of the house for a while until we finish the mold remediation work, you can trust our professional team. First Response Restoration understands all the confusion or stress that you and your family may go through and we are ready to help you remove mold from your home forever. Our certified, experienced team members have won many battles with mold in offices, homes, schools and hospitals. 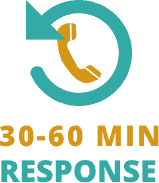 A fast response time for your mold removal project is one thing we pride ourselves with. We are well aware that the longer it takes, the worse things get. 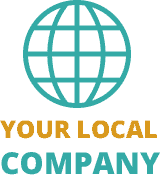 We run 24 hours a day, 7 days a week and if you place a call with us, we do what we can to immediately dispatch a technician. Professional technicians – Exactly the type of people you would want there to help determine the problem and a repair method for it. Our technicians are well trained, experienced and certified. Accurate Assessments – No matter what caused the flooding, our technicians are trained to quickly find out the cause of the problem and provide all the information needed so an informed decision can be made. Quick Repairs – Once the mold remediation plan and repair assessment is complete, our technicians get to work immediately. 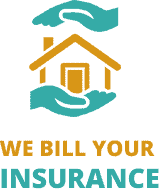 We are well aware that time is of the essence and that your insurance company needs to see progress. At First Response Restoration, we start quickly and monitor the project on a daily basis. IICRC certified technicians – ALL our technicians are certified. Anything else is considered as unacceptable by our standards. We wouldn’t want something less than a proven professional with credentials working for us. Top of the line equipment – We provide all the latest and greatest tools for the job to all our technicians. In short, we come prepared. Our trucks are equipped with high tech equipment, air movers, air scrubbers, dehumidifiers, moisture monitors and water extraction tools to handle your mold remediation. First Response Restoration provides reconstruction services in addition to mold remediation for your commercial and residential property. Sometimes, we cannot save the building materials. We will ensure that the affected area is properly restored and safe for inhabitants. If you are facing a mold remediation situation, or you need water damage restoration, call First Response Restoration. We are fully certified by the IICRC and available 24/7 and can also provide some other services like odor neutralizer services. First Response Restoration services all of Long Island. Questions?